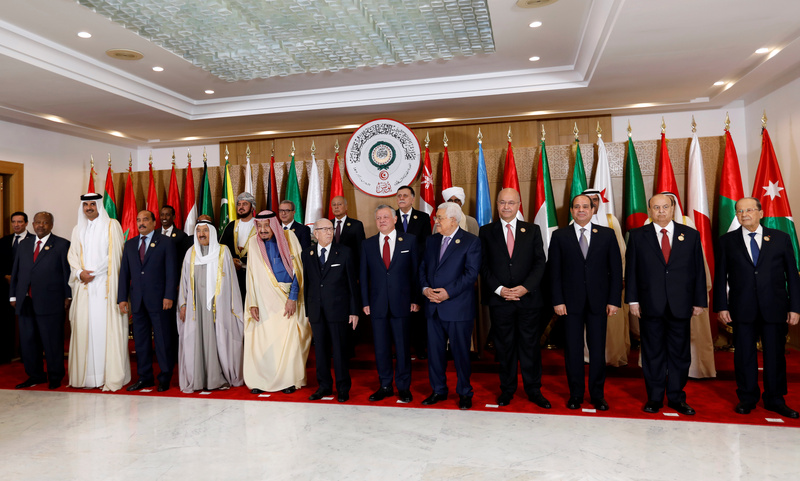 TUNIS (Reuters) – Arab leaders said on Sunday they would seek a U.N. Security Council resolution against the U.S. decision to recognize Israeli sovereignty over the Golan Heights and promised to support Palestinians in their bid for statehood. Arab leaders who have been grappling with a bitter Gulf Arab dispute split over Iran’s regional influence, the war in Yemen and unrest in Algeria and Sudan sought common ground after Washington recognised Israel’s sovereignty over the Golan. Saudi Arabia, the United Arab Emirates, Bahrain, and Egypt accuse Qatar of supporting terrorism and say it has been cozying up to Iran, a charge Doha denies.